I've used your service twice now in as many weeks. The inspector for each job was very knowledgeable and personable. Answered all of our many questions and saved us thousands of dollars. The inspector was so thorough. Didn't leave a stone unturned so to speak. I received the report quickly and it was easy to read. I would use again in the future should the need arise and would highly recommend them to everyone. Great Job! Thanks. The inspector was great very through, knowledgeable and professional.Answered any questions we had.Took the time to check everything inside and out. Great job! The inspector was knowledgeable, thorough and wonderful to work with. The report was delivered promptly and contained great detail and was easy to read. I would highly recommend accurate home inspections to everyone. We are glad to hear that you liked our report. We try to include lots of pictures and detailed explanations in laymen's terms that are easy to understand. Enjoy your home. Accurate Home Inspection was nothing short of what was expected. The inspector was informative with what was being surveyed and added extra details/suggestions to what we may do to improve an area. Thank you for the thorough inspection. The time taken to answer my questions and ensure the safety of my house helped put my mind at ease. I thought it particularly thoughtful that they changed shoes when entering my home.The inspector was professional and polite and I felt I received good quality for money. Professional and knowledge of a trade makes for a very good home inspection company. Also the tag team reporting at the same time made it a quick turnaround. Even answered an email on Sunday to help us get our shower working! Highly recommend this company. The inspector was there on time. Worked effectively and efficiantly not wasting time but still answered all of our questions. The inspector was very good payed attention to every detail. Gave insight on current issues and future issues. The inspector was very thorough, and walked me through everything they found in great detail. I now have great peace of mind in my home, as I know exactly what I needed to fix and how well my home was put together in the first place. Thanks accurate home inspections, you can inspect me anytime! Our realtor referred us to Accurate Home Inspections with great confidence. The inspector walked us through our new home and explained in detail each step in the process. The inspector was very knowledgable and current on all code requirements and paid great attention to detail. We felt very confident leaving our inspection that we knew everything there was to know about our new home. The inspector was very customer focused, trustworthy and informative. We would highly recommend Accurate Home Inspection. 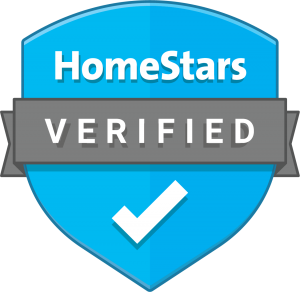 We selected Accurate Home Inspections based on Google reviews and were very happy with our choice. Our inspector walked us through the process and explained everything clearly to us. We appreciated the time spent with us and the level of detail that our inspector paid attention to within our home. Knowledgeable, respectful, kind and trustworthy - that was what we were looking for and we will certainly recommend Accurate Home Inspections to anyone else searching for those qualities. Accurate Home Inspection was amazing and very thorough. The inspector showed us many things about buying a used home. We would recommend Accurate Home Inspection to family and friends. I would also just like to share one thing with our inspector, WE NOW OWN THE HOUSE and we thank you for all you have done for us. Very knowledgeable and approachable inspector. I would definitely use them again. 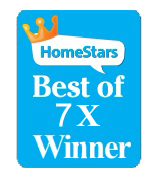 I have used Accurate Home Inspections a few times and have been very pleased with the service. I would recommend them to my family and friends. I will use them again in the future. They were thorough and pleasant. We found the home inspection very useful and reliable. It identified many issues that we were not aware of and that we could negotiate before the purchase of our property. We would recommend Accurate Home Inspections. 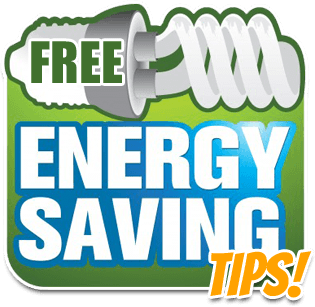 “The Inspector was very knowledgeable. A year later, I still refer back to the inspection to get tips that the Inspector wrote. I would definitely refer Accurate Home Inspection to anyone looking for an inspection. The Inspector was thorough and the cost was very fair. The home inspector did an excellent job, the inspection process was stresses, I have got a full explanation about my house features and house maintenance. The report was easy to understand. I wouldn’t hesitate to recommend this home inspector to anyone. Thank you very much. The inspector was very easy to talk to and answered all of my many questions (as a first home buyer). When I first arrived I was a little nervous because I didn’t know what a home inspection was like but I was greeted with a smile and given a super handy file folder containing valuable information for any home buyer. I will be using it to keep myself organized for scheduled maintenance on my new home. The inspector explained things in detail when needed or if I seemed unclear on something. The home inspector was very knowledgeable and I would recommend the inspector to any friend or relative in a heartbeat. Great inspection, thorough, informative and provided us with the confidence to complete the purchase of our home. The inspector was very knowledgeable and kept us involved during the entire inspection by showing us specific issues and presenting us with solutions. The inspector spoke to us as both a professional and a home owner. I liked that my questions were answered and I liked the advice that I received. The final inspection report was excellent, I really appreciated the photographs and detailed descriptions. Highly recommended. The inspector with Accurate was very approachable, and receptive to my many questions about the building, a vacant rental property. 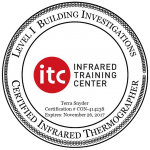 I feel it’s very important for a building inspector to be knowledgeable and willing to take the time to “teach” me about the building, and to provide frank and clear comments. This was certainly the case with Accurate Home Inspection. I was very pleased. Accurate Home Inspections is a very professional company who went above and beyond. Very honest, trustworthy and thorough and also having the client’s best interest at heart. Our inspector was very easy to get along with and took the time to answer our questions. The fees were so reasonable that we used them twice on two different properties. We are highly recommending this company for your inspection needs as we were very pleased with their service. Thanks. Being I a first-time home buyer, I was quite nervous and apprehensive. The inspector gave me enough information to feel much more secure in my decision, and I think I have a better understanding of what I can expect in the future. The inspection was thorough, and the report very detailed! It is easy to read and to understand, the pictures are a fantastic way to see, in one second, what the problems and repairs might be. I would definitely recommend your services to my friends and family. Thanks so much! We would totally recommend this company. Having recently purchased a new build house from our builder we thought it would be useful to have an inspection done to ensure that everything was up to spec before signing off on it. While the inspector didn’t find any major defects they did pick up on a few items that both ourselves and the builder had missed. The inspector was very thorough and the report provided at the end was very comprehensive. We plan on using this service again just before our 1yr warranty expires. Definitely worth the price for the peace of mind. Prior to Accurate Home Inspections, I had only one other experience with a home inspection (in another province) and it didn’t go well. Needless to say, I didn’t have high expectations but Accurate proved that some home inspection companies are good. Accurate Home Inspections has completed 2 home inspections for me and both experiences were better than satisfactory. The inspector was friendly, knowledgeable and very patient with my many questions. I wouldn’t hesitate to recommend Accurate. I had a great experience with Accurate Home Inspections from the beginning to the end. The inspector has proved that all reviews and testimonials on websites were true – very approachable, knowledgeable and caring. I would highly recommend Accurate Home Inspections to anyone who is looking for home inspections. Thank you so much! The customer service was fantastic! The inspector was very thorough and very informative! I would recommend Accurate Home Inspections to anyone! The inspector was very professional and punctual for the appointment. The inspector came prepared with all required documentation and equipment, They provided a concise and easy readable report in the same day. I have no hesitation to recommend them for further inspections for myself or friends. After our first experience with Accurate Home Inspections we were so impressed that we used them to inspect each property that we considered for purchase. The inspector was always willing to explain things in plain English and was very approachable. We enjoyed attending each inspection in person and learning about the pros and cons of each property. Once you experience the high quality service of Accurate, you’ll be so glad you chose them for your inspection. I know we are! The hours of operation were much better than other agencies and great customer service. The report was easy to understand and very thorough. We LOVED the extra added information provided, it is Awesome and we will reference it for years to come. As a first time home buyer, the inspector came recommended. The inspector was very professional and knowledgeable, explaining to me everything about the house. The information package contains valuable information for new home owners. The price was fair and I would highly recommend the services of this company. The inspector was diligent and thorough in evaluating our purchased property. Quickly identified key mistakes made by the builder (i.e. no insulation in ceiling). The inspector was knowledgeable and provided a detailed summary report. I would recommend. As a first time home buyer I was incredibly impressed with the inspector. They explained everything that they were doing and why. When I arrived at my new purchase they were already there and provided me with a free package that had helpful guides for my new purchase. The inspector was very knowledgeable was very personable as well. If your a new home buyer I would highly recommend the services of this company. The inspector did a fantastic job at explaining each step of the inspection. They thoroughly inspected all areas from top to bottom. I feel much more informed about the house that I purchased, and much more secure in my decision, thanks to Accurate Home Inspections. I would not hesitate to use these services again and would definitely recommend them to anyone that is seeking a professional home inspection that will also give peace of mind. I found Accurate Home Inspections to be thorough and very helpful. This is the second time I’ve used this company and found the inspection to be very complete – the inspector was able to answer all of my questions and supplied a report the next day that aided me in making my home purchase decision. I’d definitely recommend this company to friends and family. The Inspector was very thorough with the inspection. They took the time to explain how and why things might be a problem and offered advice on affordable solutions. The extra information documents given will also be a very handy reference. The inspector did a fantastic job at explaining each step of the inspection. They thoroughly inspected all areas from top to bottom. I feel much more informed about the house that I purchased and much more secure in my decision, thanks to Accurate Home Inspections. I would not hesitate to use these services again and would definitely recommend them to anyone that is seeking a professional home inspection that will also give peace of mind. The inspector was friendly, courteous and thorough, and left me feeling that the inspection itself was not only going to help in our home purchase, but in years to come. I am looking forward to working with this inspector again in the future, as we learned a lot and appreciated the inspector’s care and detailed knowledge that was relayed to us. Our inspector was punctual and friendly. The inspection process helped us to make finalize our decision on the purchase of our new home. We were impressed with the experience and credentials of our inspector. The inspector came out to Canmore to inspect a 3 level recreational property that we were in the process of purchasing. The entire inspection process was extremely helpful – a very positive and worthwhile experience. The inspector was knowledgeable, courteous, energetic and thorough. You could tell that the inspector had a lot of first-hand experience in the detail of building and finishing homes and was up to date on all of the regulations. The report provided afterwards will act as our guiding reference book for the next several years. All in all, it gave us confidence and we came away knowing so much about about our property at the end of the day. I would recommend Accurate Home Inspections to others and would use this company as my first choice. Accurate Home Inspection saved my family a world of grief and a lot of money. I have been in the construction industry for over 20 years and had relied on my own knowledge and experience in the past when purchasing a home. This particular home was built on a treated wood foundation which I havent any experience with. My gut told me to hire an inspector with the proper equipment to have it checked out. It turned out there are drainage issues and the foundation was experiencing water problems. Some readings on the moisture detector were off the charts. Wood Foundation + water = $$$$$$ to fix. Thank you Accurate Home Inspection. I used Accurate home inspection twice during my house search. Me and my wife loved a house we were looking at and got Accurate H I on a recommendation. The inspector went through the house thoroughly with me there and compiled a list of various things that should be looked after should we purchase the house. After finding a major problem with the basement she advised us on the cost of repair and seriousness of the problem. We went back searching. Then when we found I another home we were interested in we hired them again because I trusted them to go through the place thoroughly and let us know of any problems no matter if we love the place or not. Turns out we bought this house as it had very few things to look after. And we love it. I trust this company because even if you love a house and they know it they will let you know what the little issues are and if there are any major issues. The inspector did a great job of explaining the process and followed up with a very detailed inspection. The inspector was prompt , courteous and professional. The inspection was done on our newly built home and uncovered a few items that I never would have been aware of. I intend to have the builder address the issues while the house is still under warranty. The inspection was well worth it. The process was easy to understand and follow. Additional information supplied will be most helpful with ongoing maintenance. I felt the Inspector went beyond what was necessary in order to give a full review of the property. I was very pleased with the service provided. It was my first time having a house inspection and I was not sure what to expect. The Inspector was very friendly and knowledgeable and made the experience comfortable and educational. I would recommend this company time and time again, very professional with experienced service. Plus it was great to be able to tag along during the inspection. The file folder and information within that was given to us was “value added” – we still use it as a reference. We were very pleased with the house inspection. The inspector was very knowledgeable and took the time to answer all of our questions. We also received lots of useful tips for improving our new home and for maintaining it. The inspector was very knowledgable, professional and explained everything to us in easy to understand ways. This was an overall excellent experience for a first time home buyer that has never had an experience with home inspections. I would recommend Accurate Home Inspection to anyone. Thank you for everything. I was impressed with the knowledge and amount of energy put into this inspection. The inspector took the time when I came at the end of the inspection to show me the areas that needed repairs and went through the notes about the house to explain to me how the inspection was done and review the details. The report was very explanatory and I liked the folder that was given to me with all the information organized inside. I found your company very efficient and professional. I would highly recommend your company to my friends and family. Thank you so much. I’m a first time house buyer and I had no idea of what to except. The inspector was very nice and check everything thoroughly. The pictures in the report with diagrams helped me understand everything. My dad is a very good handy man and he even learned some new things from the inspector. I would definitely recommend Accurate Home Inspections to all my friends and family. The inspector was very friendly and knowledgeable. As first time home buyers, we were new to the entire process so the inspector was very helpful. Our entire home was inspected and the comments made to us were useful and simple to understand. I was extremely pleased that the inspector took the time to inspect the roof, even with a little bit of snow. I would recommend this inspector to my friends and family. Thank you for a great first time inspection experience. I found the level of competency of the inspector to be outstanding and the level of communication to be refreshing. Not only was the inspector very knowledgeable with regards to Home Inspection, but the level of care and attention taken during the inspection, was greatly appreciated. The fact that concerns were pointed out and that those concerns were addressed with possible remedies and solutions, was very comforting. By the end of the appointment not only did I have my property inspected, but I also felt that I had made a new friend. This is the way business should be run … as a win – win positive experience. Thank you for everything, from a very satisfied customer. Have a great day. The inspector carried a very thorough inspection, with a great patient to answer my detailed questions. Communication was effective and proactive, and it helped me a lot to understand not only “what”, but also “why”. A “easy to read” inspection report which was issued on the day after inspection further demonstrated the inspector’s client orientated attitude. I will have “no brainer” to recommend “Accurate” to my friends. I recently used Accurate Home inspections for a home inspection in the Calgary area. Overall the service was great. They came out on time with little notice, raring and ready to go. Together we did the full tour of the home – outside, attic, inside main and basement. Throughout the inspection, the inspector was friendly, very knowledgeable and was more than willing to explain anything that I didn’t understand. Overall a very professional and thorough service, which also included a detailed and comprehensive final report. Well worth the time and money! Accurate Home Inspections provided expert advice and a detailed inspection which were used to help determine the feasibility of a renovation for a design client. The inspector was very knowledgeable and thorough when reviewing the important aspects that were significant to the project. The inspection report was organized and easy to understand. It even included recommendations, helpful explanations and photographs that made it interesting and informative to read. My clients and I were pleased with the Inspectors professionalism and with the information provided in the final report. I’d be happy to refer others to the great service they’ll receive with Accurate Home Inspections! The inspector was courteous, thorough and on time. Appreciated all the effort put into viewing everything and ensuring we were aware of any and all problems or potential problems. Saved us from buying a money pit! Very good inspector. Accurate Home Inspections did a fantastic job inspecting the interior elements of a 5-year old townhouse that I was purchasing. During the course of inspection the inspector was professional, knowledgeable, enthusiastic and approachable which made the over all experience very pleasurable. The inspection report was also done in a timely and professional manner. Highly recommended, would definitely use the service again. My husband and I were very impressed with Accurate Home Inspections. The inspector was very knowledgeable, friendly and approachable. The inspector engaged us fully during the inspection and explained all matters to us in a helpful and friendly manner. We have used the services of Accurate Home Inspections on two different occasions and after both occasions we felt that we had been fully informed about the condition of the home that we were considering buying. We would definitely use the services of Accurate Home Inspection again and would recommend their services to others. This inspector came prepared with winter clothing and all equipment necessary to inspect a house inside and out. They went up on the roof (which had snow on it) to inspect the shingles, under the balcony to check for rot, took insulation away to check to for water damage, opened a ceiling panel to inspect plumbing, inspected the electrical panel, furnace, hot water tank, all windows for water damage, bathroom tiles, light fixtures indoors and out, explained and showed how to do general upkeep of a house. Repairs and deficiencies were explained to me in great detail. This inspector definitely exceeded my expectations. I was very impressed. When the inspector came in it was a good experience. Kept us informed step by step through out the process and explained things in detail. The whole process which took 3 hours seemed to fly by in minutes as the team was easy to work with and talk to. I would recommend accurate to anyone and everyone! GOOD JOB! The inspector was very efficient, professional, knowledgable, friendly,and extremely helpful. The Inspector was able to answer any question we had about the findings and also give some recommendations for solutions. In all we found the inspector and the company excellent and would highly recommend both the inspector and the company to anyone. Thank you very much for your service! We found home inspection very well done. The inspector was very friendly, thorough, efficient, and knowledgeable. What we liked is that we were pointed to a few of maintenance-related issues that if not taken care of properly right now, they will cause major headaches in the future. The report was produced in a timely manner and contained all the details, explanations, and related pictures which made it a lot easier to follow. We will definitely recommend Accurate Home Inspections to our friends and family. We have never lived in a house before and the house that we planned to buy is over 20 years old, so the inspection is becoming very critical before we make the final decision. Our inspector was recommended by another inspector who has incredible reputation in this area. Since we called in the last minute and there was no way he could make it before the condition day, so we chose the one he recommended. Our inspector did the terrific job, very impressive. Before inspection, our inspector provided us a file holder with extra information as to how to maintain the house then briefly explained the procedure and extended service after the inspection. Our inspector worked on this house for about 3.5 hours from corner to corner. In the end of the inspection, our inspector gave us an overall summary and suggestion in plain language. At the end of that day, we received the detailed inspection report which is very helpful for us to make us decision and reduce the price. We believe we will recommend our inspector to our friends. Very thorough. Exceeded my expectations. Above and beyond previous inspections I have had done. Will most definitely recommend in the future. The inspector was knowledgeable and professional. All our questions were answered and it was a great help in our decision making. Thanks so much. We definitely recommend Accurate Home Inspections and wouldn’t hesitate to call again if we need an inspector. We are buying a house for the first time and the house inspection through accurate home inspection open my mind how to maintain the house in our care and the inspector explained everything in detail regarding what to improve and the major safety. In general I will recommend anyone to buy house to use accurate home inspection. The inspection they did on our new home was a great experience that really helped us. We will contact them again in the future. Thank you very much! We needed an inspection to be conducted during the week-end and Accurate Home Inspection was our best bet. Great job, really accurate and professional. We are happy with our purchase and we managed to get a really upsetting problem of the house out of the way, thanks to the professionalism of the inspector. Thank you very much!! Accurate Home Inspections were fabulous to us. I am extremely grateful that I received the inspection as I learnt a lot about my new home. The inspector was extremely thorough and knowledgeable. I would definitely recommend them. I just happened to stumble across them on Google, at am very thankful I did!! I would definitely recommend Accurate Home Inspections to everybody I know. I appreciated the honesty and knowledge of Your Inspector. Thanks for everything. Contact Accurate Home Inspections for all of your Strathmore Home Inspector and Strathmore Home Inspection needs.